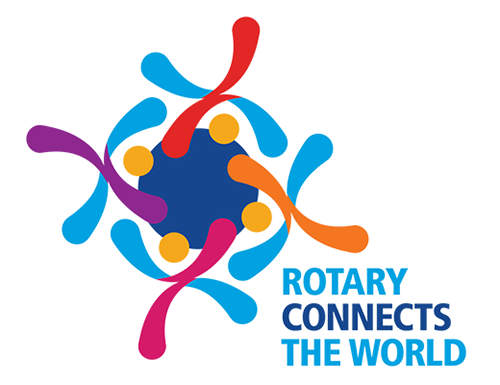 2019-2020 Rotary International President Mark Daniel Maloney announced the upcoming theme at the Rotary International Assembly. Shortly afterwards, he wrote the following address to those in attendance, "Thank you for joining me this morning as I announced my theme for the 2019-2020 Rotary year: Rotary Connects the World. I encourage you to share our theme widely with your fellow club members and throughout your districts to help create enthusiasm and excitement for the year ahead. You can download theme materials here and share widely on Facebook. I look forward to everything we have planned for you this week during the Assembly, and I hope that you leave San Diego feeling inspired to help shape the future of Rotary. It is only by working together that we can truly accomplish great things."